If you're serious about reducing the interest you owe on your mortgage, refinancing could be a good bet. It can reduce your monthly payments and help you pay off your home faster. Of course, it helps to know your options when it comes time to re-fi. Most consumers elect to refinance to secure a lower loan amount with a lower rate of interest. (In some cases, dropping excess costs such private mortgage insurance can be a smart financial move, but, by and large, rate reduction remains king.) In many cases, it can make sense to refinance, even if you can reduce your interest by as little as .25% and save as little as $50 a month. You could alternately pay fees to purchase a lower interest rate (and, subsequently, a lower payment). The trick here is to determine when you're going to recuperate any fees paid and ultimately break even. Generally, a good way to determine this point in time is to take the fees paid to originate the loan, and divide them into the monthly savings generated by the proposed refinance. The optimal timeframe is a quick recapture, such as within 12 months or less. That short of a timeframe is reasonable with rates currently in the under 4% range on long-term, fixed-rate mortgages. Let's say you took out a 30-year fixed-rate mortgage for $450,000 at 4.375% back in 2010 and you can refinance to a 15-year fixed-rate loan today at a rate of 3%. Based on an amortization schedule, your principal loan is now down to approximately $409,000 and you still have 25 years left to go to pay it back, including all the extra interest you're accruing as you take the full 360 months to pay off the obligation. Your monthly payment should be about $2,247. If you were to refinance to the 3.0% 15-year mortgage, the monthly payment would be around $2,824. That's a difference of $577 a month, but saves you $165,780 over the life of the loan. Remember, when you move into a more aggressive mortgage pay off, the lion's share of the payment goes to principal and less to interest. Working in tandem with a lower rate over a shorter term, a 15-year fixed-rate mortgage is far less costly than its 30-year fixed-rate counterpart. Mortgage Tip: As long as rates on longer-term loans, like the 30-year fixed-rate mortgage, continue to remain around under 4.0%, all rates on shorter-term loans should remain favorable as well, including 25-year, 20-year, 15-year and 10-year fixed-rate mortgages. A word to the wise: It's always a good idea to make sure to have your most recent mortgage paperwork in electronic PDF format ready to go for a lender. 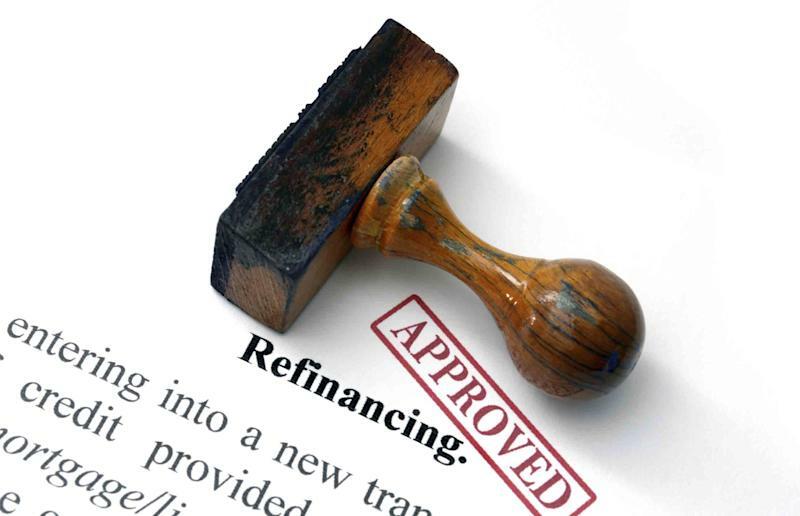 This way, you can be nimble enough to act quickly on a refinancing opportunity should one present itself.